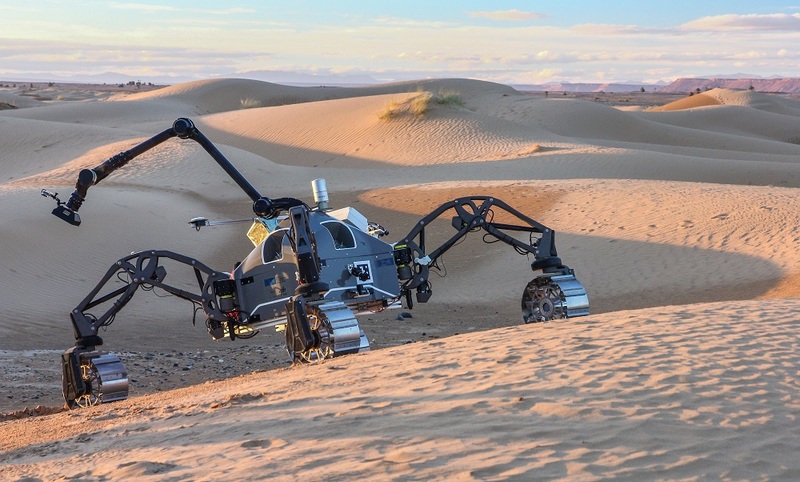 The hybrid walking and driving rover SherpaTT was prepared for the desert on a test site near the hotel in Erfoud. "Only through such field tests we can have high confidence that the software and hardware we developed will work as planned under the harsh environmental conditions that prevail on Mars and Moon. We do test software and hardware in labs and in computer simulations. In these we simulate what we imagine, but reality provides for unforeseen situations. The variability that nature brings - from lighting conditions to the shapes of the landscape, to the structures of the sand and rocks - cannot be simulated reliably, it can only be experienced in field tests" says Gianfranco Visentin, Head of Automation and Robotics at the European Space Agency (ESA) and coordinator of the EU project PERASPERA. In the PERASPERA project, the European Space Agency (ESA), the German Aerospace Center (DLR), and the national space agencies of France, Spain, Italy and Great Britain work together to develop the research roadmap for the EU’s Strategic Research Cluster (SRC) on Space Robotics Technologies and to oversee the implementation of the various research projects funded by this program. An important part of the SRC roadmap are extensive tests and evaluation measures for the technologies developed in various sub-projects. 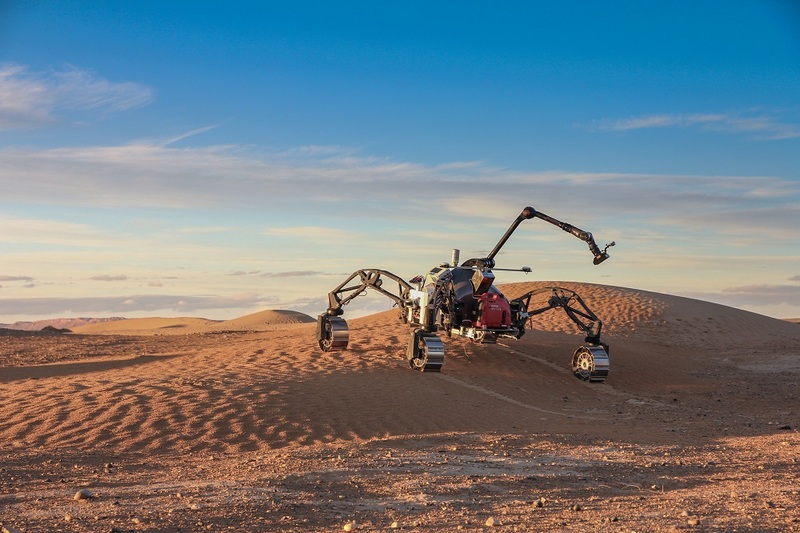 This includes the field tests in Morocco, which were organized by DFKI's Robotics Innovation Center as part of the FACILITATORS project (led by the Spanish company GMV). 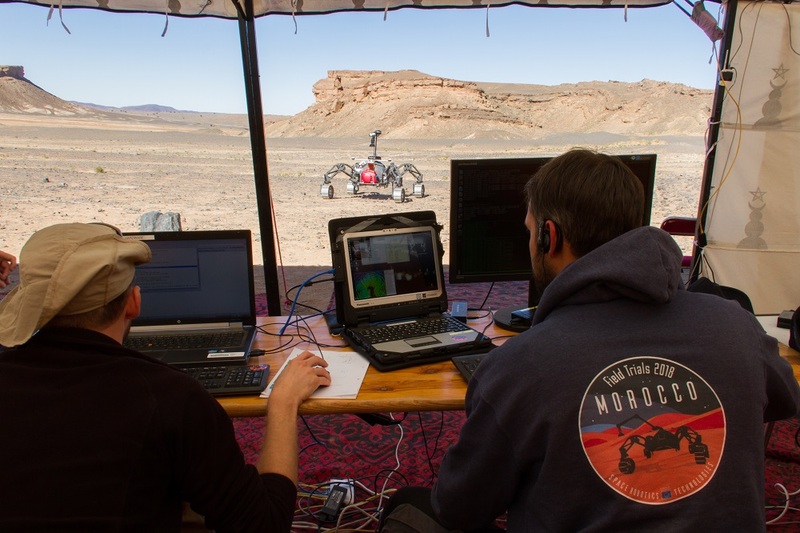 The results of the tests and the data collected by the rovers in Morocco represent great success and a significant test dataset for analogue simulations. 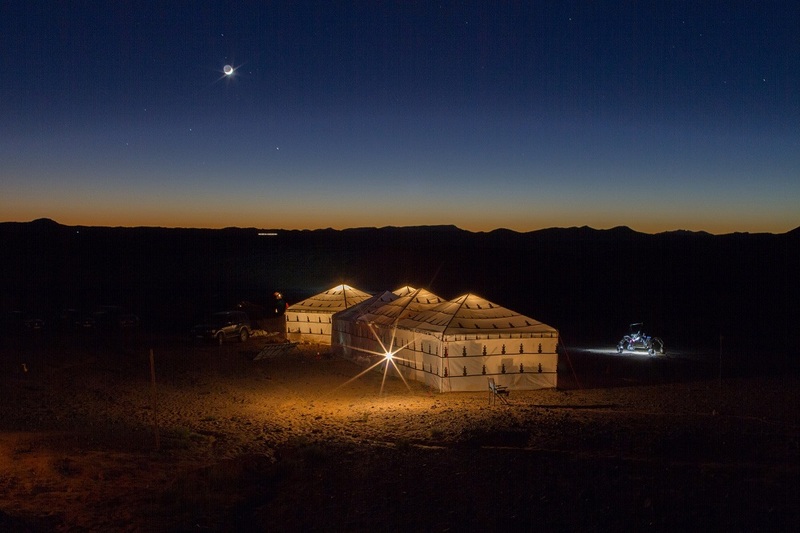 During the field tests, the project partners could demonstrate not only that the developed software modules work under Mars-like conditions, but also compile a valuable database for further research work. The successfully tested "Space Robotics Technologies" will now serve as core components for more complex robotics applications, which are planned to be developed from 2019 to 2021 in a second series of EU-funded R&D projects. 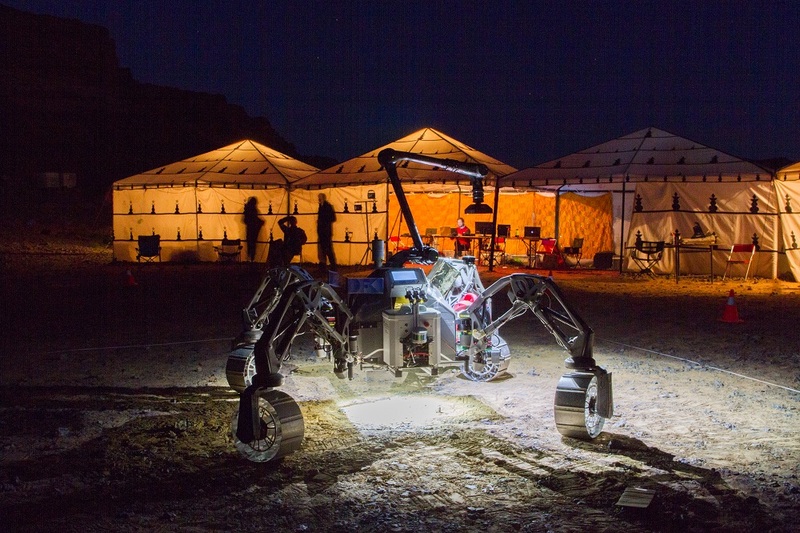 Thanks to the new software SherpaTT autonomously crossed the desert. 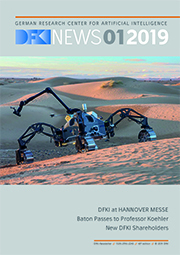 The DFKI rover covered a distance of more than 1.3 km. 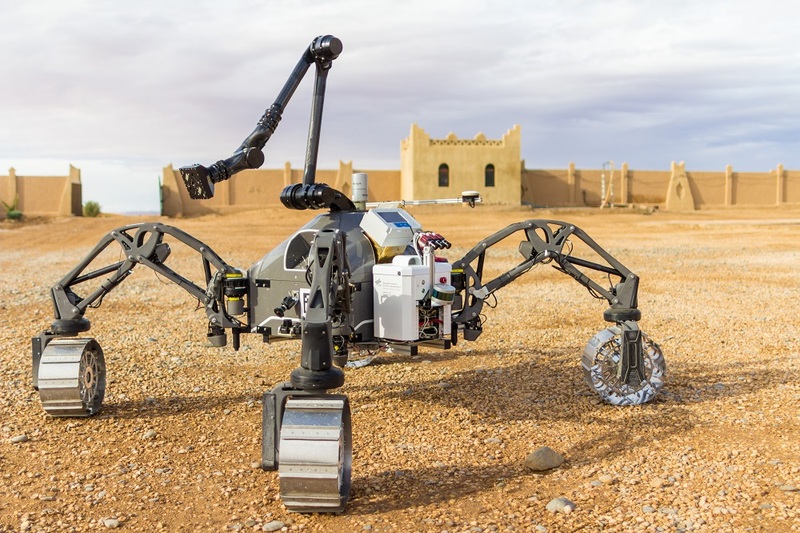 Using the DFKI rover, the researchers tested the new technologies. The scientists often worked until late at night.